• Swallowed in the Sea. Not only is this my favorite Coldplay song but it’s also my favorite song of all-time. I can’t even explain why I like it so much but this song just means so much to me. It’s gotten me through some rough times that’s for sure! • Charlie Brown. I can’t hear this song and NOT start dancing! • Don’t Panic. I’ve said this on the blog before but Garden State has one of the BEST soundtracks ever! • Clocks. I used to be able to play the first few chords of this song on the piano (side note: I REALLY wish I knew how to play the piano. It seems like a cook skill to have!). • Life in Technicolor ii. This is one of my favorite Coldplay songs! It just makes me so happy! • Postcards From Far Away. This is another one of those songs that makes me wish I knew how to play the piano (I guess it’s never to late to start taking lessons?). • Speed of Sound. I’ve talked about this on the blog before too but this song ALWAYS reminds me of Disney World because when the X&Y album first came out, my sister and I immediately bought it from the Virgin Megastore at Downtown Disney (remember that!?) and played it on repeat our whole trip. • Sparks. This is another one of those songs that just makes me happy whenever I hear it! Any Fellow Coldplay fans out there? 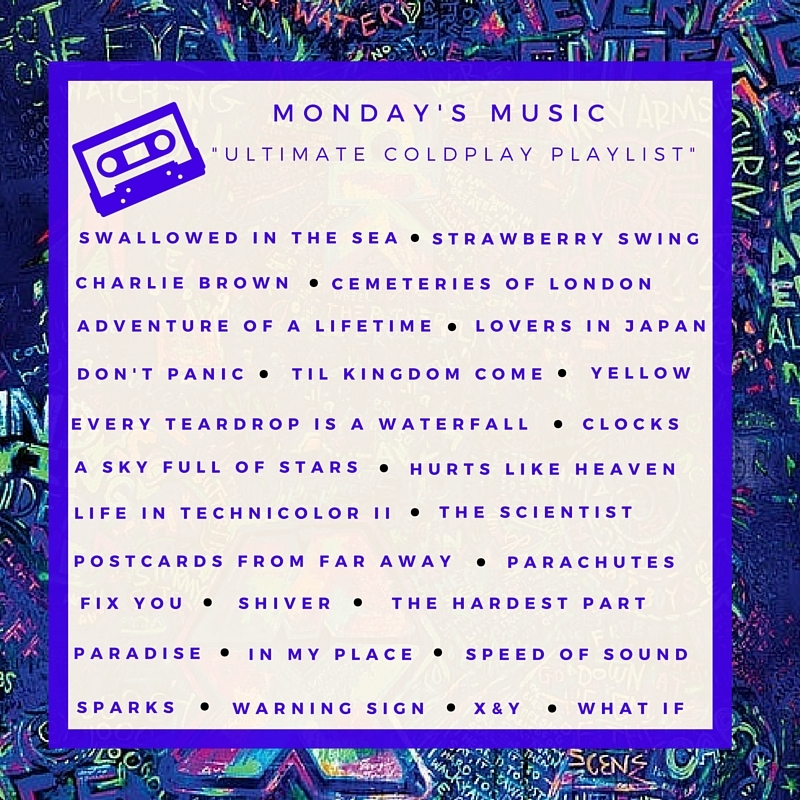 What’s your favorite Coldplay song? You can stay up to date with Coldplay’s latest tour and concerts at Main Event Specials!